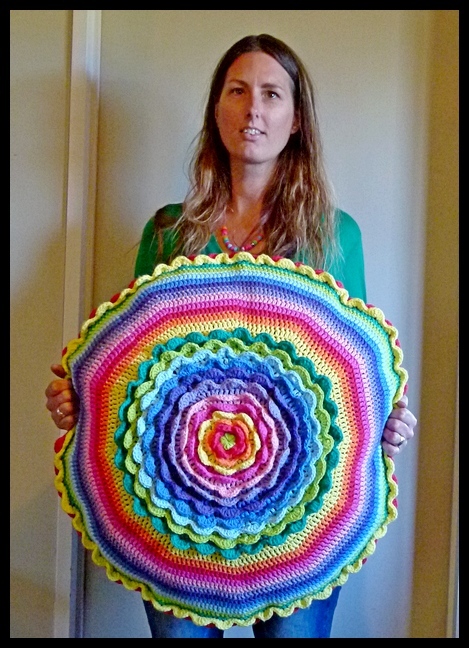 My name is Alia and I'm a crochet-a-holic and a complete colour magpie! I live with my hubby Jeff and our 3 little monkeys in a sleepy little seaside village called Karekare, on the wild west coast of Auckland (New Zealand). It is rugged, remote and stunningly beautiful and I am grateful for every day I get to spend here in paradise. I've been making things as long as I can remember... When I was very small I used to draw my own patterns for my dolls' clothes and sew them up on my mum's industrial sewing machines. It's a miracle I didn't loose a finger or two, but it was the start of a life long love of creating. Over the years I've been into making all sorts of things from mosaics to jewellery, clothing & painting, and right now I'm loving the wonderful world of crochet! The Little Bee came about in 2013. My babies have finally grown old enough for me to lift my head above water and get back into transforming the many ideas in my head into reality. And it's so much fun! I wrote my first pattern at the beginning of 2014 and I just knew that it was the right direction to take. Turning my ideas into tangible patterns that people can pick up and use to create special items for themselves, their family, and others is super rewarding. I've been fortunate to have made some wonderful connections with amazing people from all around the world through the pattern writing and testing process. The power of social media has been incredible, allowing fans of The Little Bee to keep in touch and share their thoughts, ideas, and most importantly their awesome creations! I'm so pleased you found your way here, I hope you find something that tickles your fancy. Thanks so much for stopping by!